For a professional athlete, talent is the most disappointing thing you can waste. 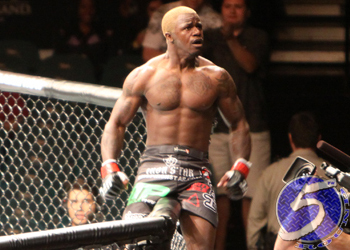 Just a few years ago, it appeared as though Melvin Guillard (Pictured) was well on his way towards flushing his abilities down the toilet. However, at the age of 28, the UFC lightweight appears to have finally come into his own. Guillard owns an extensive 29-8-2 (1 NC) record. He’s won five straight scraps, including eight out of his last nine bouts. Prior to his torrid run, “The Young Assassin” sought treatment for cocaine abuse and found himself on the inside of a jail cell. What a difference 36 months can make. One person who couldn’t be more pleased that Guillard was able to right the ship is UFC president Dana White. Guillard faces Joe Lauzon this Saturday at UFC 136. Although his opponent is more than formidable, posting a convincing win still doesn’t guarantee him next dibs at the lightweight title. “There’s so many good guys in that 155 pound division, we’re trying to figure out who’s next,” White stated. “That division is so stacked and there’s so many good fights to make. UFC 136 takes place inside the Toyota Center in Houston, Texas.